Due to the National Eisteddfod being in Llanelli this year there will be NO PARKING for runners at the Festival Fields this year. We have secured two car parking areas that will cater for 450 cars – these are both within 500m of the start line. 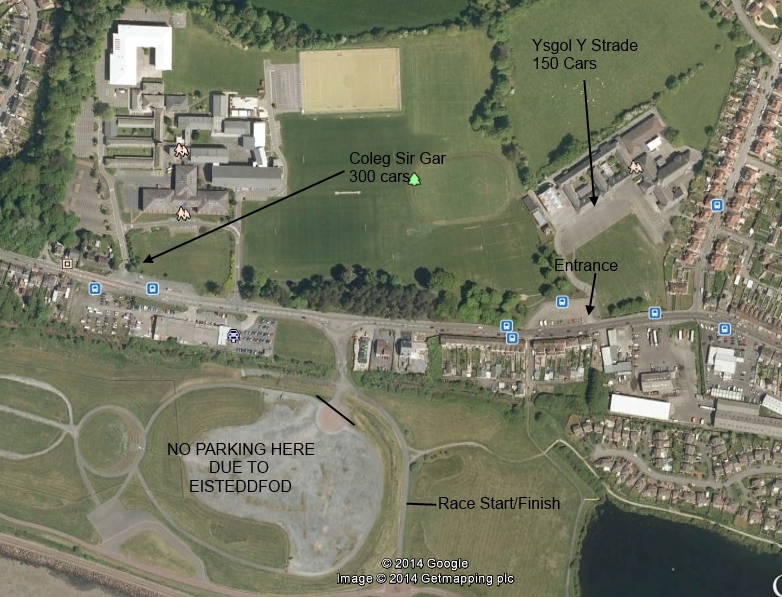 You can park at Ysgol Y Strade and Coleg Sir Gar. We will have marshals present at both locations and they are both FREE. You can also park at LLanelli Leisure Centre and the North Dock car parks. Both these are within 1km of the start line.